Construction of Hadrian’s Wall in the province of Britannia (modern day England) initiated in AD 122, during the rule of Emperor Hadrian. Nearly as majestic as the name, this daring fortification had an important purpose of keeping rebellious communities out of Britannia. The walled fortification itself is sections of defensive posts connected along a roadblock spreading 73 miles long. The wall is a must for sightseers to Northern England, even though much of the wall has disappeared, certain areas are still well preserved. 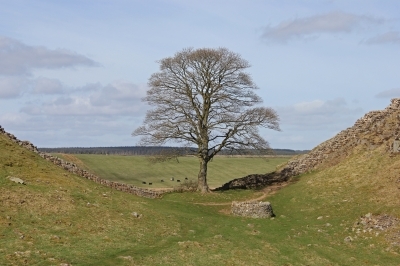 Hadrian’s Wall is ironically neither protected nor monitored against visitors. Not encouraged but tolerated you can walk, stand and climb the ancient walls. Several areas have information marking significant places and posts where garrisons of Roman troops were stationed and lived out their short lives. Stunning countryside adds a striking presence to the location. If you’ve made it all the way to Hadrian’s Wall, do yourself a favour and visit Edinburgh. Who knows why the Romans wanted to keep the Scottish out, they’re so much fun! Does this make anyone else think of Robin Hood and his Moorish friend? South of Hadrian’s Wall you will find the ancient city of York and the famous walls that surround the city. The walls’ construction was initiated in 71 AD with additional sections, expanding to various corners of the city, built afterwards. Thankfully substantial portions of the wall remain in great condition. You can walk the walls of the fortification and find some cool spots along the way. Don’t miss the Multangular Tower, one of the enduring defensive posts in great condition. When visiting this historic gem be sure to join a ghost tour- walking along the walls while hearing stories that will make your skin curl, and walking alone at night in York not an option. Constructed upon previous monuments from the time of Augustus, Emperor Constantine erected massive palace forms and renowned Roman baths, which he named after himself, in the city of Arles. Located in south-central France, along the coastline, Arles is a popular tourist destination for regional and international travellers. Referred to as the “Rome of France” the city continues to live out its name as the culture and social hub it was two-millennia ago. The crowning jewel is the amphitheater, which is situated at the centre and holds over 20,000 spectators. Arles still pays homage to its past, as the arena is still in use to this day for the time-honoured tradition of bullfighting at the festival ‘Feria d’Arles’. Our next destination is beautiful Spain! Merida, not Madrid, is an unlikely location, but entirely worth the trip. Located in the province of Lusitania and once the capital, Merida was famous for the extravagant Temple of Diana (25 AD). Wandering the roads that carve out the city square you notice remarkably large columns rising from the ground towards the sky. These immense structures are a crowning achievement of Ancient Rome’s past: the Los Milagros Aqueduct. 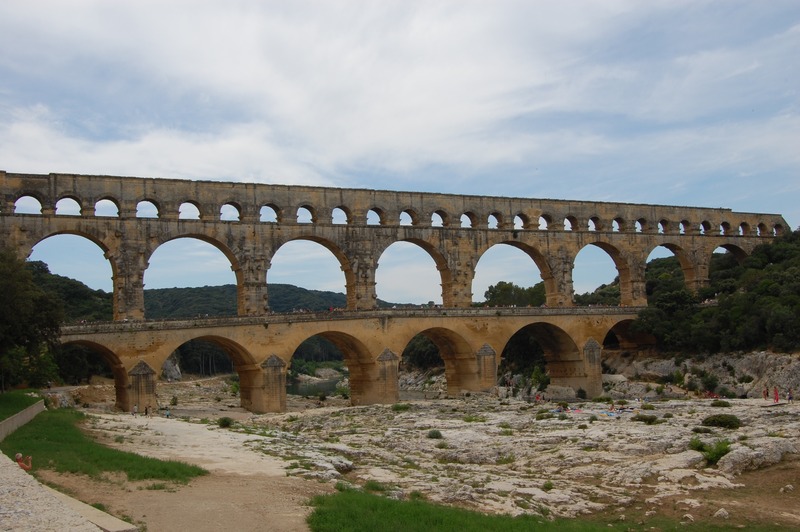 Aqueducts were considerably lengthy bridges that delivered fresh water to Roman cities for bathhouses, fountains and private homes. Amazing to look at and appreciate, considering it took Europe until the 19th century to implement a genuine sewage system that improved upon this ancient technique. There are plenty of sites to explore, but be sure not to miss learning about Roman funeral sites at Los Columbarios, located near the main temple. The crystal-clear water of the Adriatic Sea is the background of the previously-Roman city of Spilt and at its core is Diocletian’s Palace. Constructed in early 4th century AD, for the Roman emperor Diocletian, the once grand palace has now fused with modern day Spilt. Cafes, restaurants and shops have now replaced once exclusive emperor’s corridors and palace gardens Former royal walkways are now open to tourists and locals to stroll, enjoy a gelato or relax near the palace gates. Exploring this unique city is a surreal experience that feels like you’ve step into a commercial movie set. The city is a mecca for young partygoers headed out for a boozed filled week of yachting, so sightsee during the peaceful early mornings when most of the partiers are sleeping off a magna hangover. If you’re travelling along the coast of Croatia, continuing further north, you will reach the city of Pula. Once you arrive, it’s impossible to miss the amphitheater built during the time of Augustus. The beauty of the Croatia coastline and proximity to Rome gave rise to vast collections of amazing ancient sites which, in Croatia, are not forgotten and sometimes utilized. 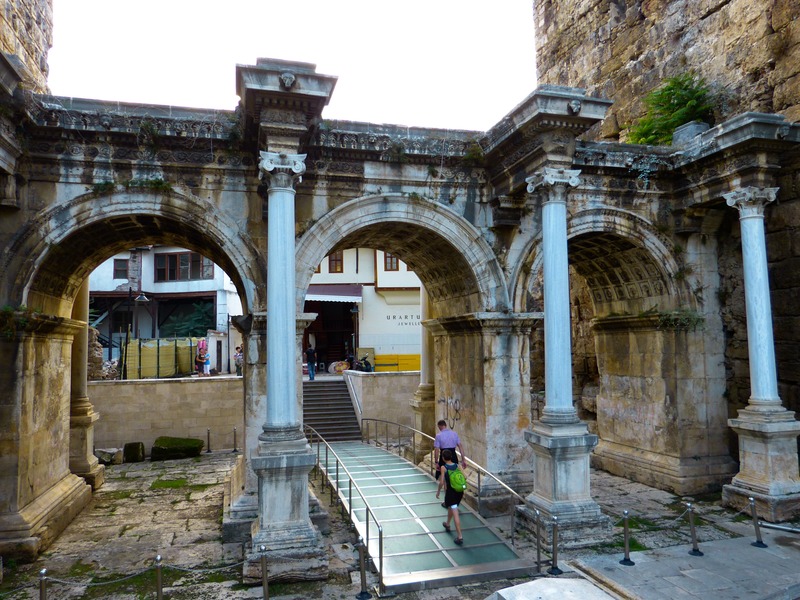 Part 2 of this blog will take us further out from Europe where the reach of the Roman Empire is still visible today.